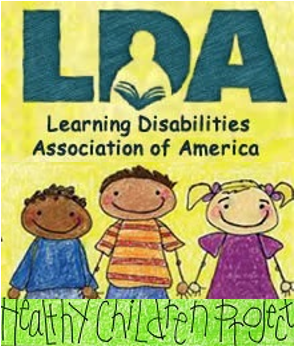 People join LDA because they are seeking help for someone with learning disabilities. This help is on an individual basis. That’s what LDA is all about. How can you be an effective advocate? To be an effective advocate for people with learning disabilities, it is important to understand the difference between what is required by law and what is not. States can provide more services and protections than federal law, but they cannot provide less. For example, there is no federal law which mandates continued education for students without disabilities who are expelled. However, 24 states mandate such services. ADA, The Americans with Disabilities Act of 1990 (Public Law 101-336), and ADA Amendments Act of 2008 (P.L. 110-325). IDEA is an entitlement. That is, any child who is found to have a disability and to be in need of special education is entitled to a free appropriate public education (FAPE) as defined in an Individual Education Plan (IEP). The protections of Section 504 and the ADA are not quite as simple. Although they prohibit discrimination on the basis of disability, there are limitations. The individual must have a documented disability, and must be qualified to meet the requirements of the program or job if provided with appropriate accommodations. However, these accommodations must not change the essential nature of the program and must not put an undue financial burden on the program or on an employer.Laws are not written in stone. They can be amended or repealed by Congress at any time. Laws can also be changed by Supreme Court decisions. The Sutton decision that an individual did not qualify as having a disability if the condition can be substantially improved, for instance by glasses or medication, and the Garret decision that an individual cannot sue a State for damages under the Americans with Disabilities Act (ADA) narrowed the protections of that law.The grassroots advocate can count on the LDA national organization to keep them posted about decisions at the federal level which affect people with learning disabilities. National LDA needs the support of grassroots advocates at the state and local levels to help their members of Congress make the best possible policy decisions. However, grassroots advocacy leaders must take the responsibility for tracking State legislation and policy. Who are the driving forces? 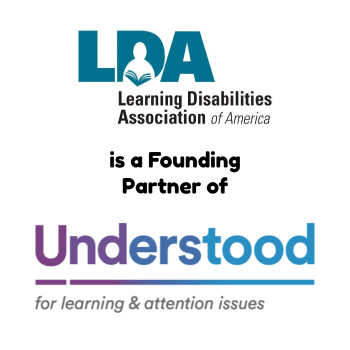 Parents and other grassroots volunteer leaders were the driving forces in creating programs and services for children and adults with learning disabilities, and in establishing the laws protecting the rights of these individuals. Advocates must continue to work equally hard to make sure these protections and services stay in place. How do you advocate in Washington? Every U.S. Senator and Congressman has staff members in his or her respective home state whose function is to represent his or her position at designated locations within the Congressional District and/or State. If you want to access speedier communication with your Congressman and Senators, get to know where these offices are located, and most importantly, get to know the local office staff members who are in charge of the office and constituent communication system. Usually the Congressmen/Senators have a designated administrative aide who is the lead person in the local office. In addition, secretarial staff and other staff persons are usually housed in each local office. The Congressman and Senators usually hold town meetings, conferences and might even have a local newsletter and possibly a local issues advocacy committee. Get to know the local office staff members. Attend the local town hall meetings or other local conferences including coffees, teas and receptions. Visibility is the key reason for attendance. Call in your messages to local staff members especially when you want to provide speedy input on a specified issue or concern. Offer to serve on local committees and offer to be available to assist in providing information to the Congressman or Senator on a specific topic of interest or concern to you. Always follow up with a thank you note to the staff and/or Congressman/Senator when there has been action on your behalf. The local staff members will know when the Congressman or Senator will be in his/her home District and can schedule a local appointment time for you. Federal or state legislative information can be accessed via the Library of Congress. In addition to the U.S. House of Representatives and the U. S. Senate, the Congressional Record, Committee Reports, Summary of Bills and their status, and Current Activity can all be accessed here. 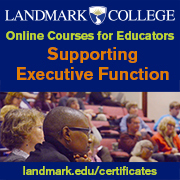 Your state legislature can be reached under the menu item, More Legislative Information. Click on State Legislature Websites and select your state. Remember that local LDA units and individual LDA members can be effective advocates by communicating regularly with local staff members, and by becoming known by the staff members and the Congressman and Senators. Use your local site for doing your advocacy work. Want to teach others how to advocate?